As a new consensus around the notion of ‘active ageing’ is emerging internationally, Professor Philip Taylor from Monash University argues that Australia needs to widen the concept of ‘productive ageing’ for a complete strategy for our ageing society. As moving into age-appropriate accommodation becomes a reality for a growing number of Australians, Australian Unity Retirement Living CEO, Derek McMillan, explains why pensioners need further financial support. Are you the retiring type? As we launch our Productive Ageing featured forum, Age Discrimination Commissioner, the Hon. Susan Ryan, explains why aged workers are vital to Australia's economy. As chocolate-lovers around the country gear up for the Easter long weekend, Baptist Minister and World Vision Christian Commitments Co-ordinator, Anne Wilkinson-Hayes, explains the true meaning behind this religious tradition. April is Autism Awareness Month – a time when Autism Associations and people around the world raise their voices together for Autism awareness. 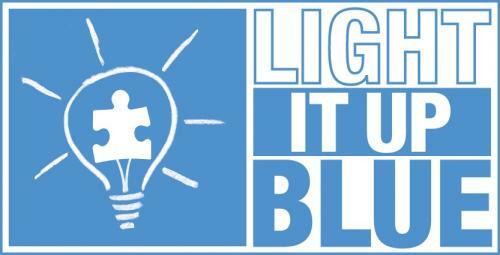 On World Autism Awareness Day, Tuesday 2 April 2013, iconic buildings across Australia and the world will 'Light It Up Blue' for the entire month of April to promote autism awareness. In the lead up to the National Adoption Apology, social justice advocate, Nikki Hartmann, explains the importance of breaking the decades-long silence surrounding past forced adoption practices and acknowledging the lasting grief experienced by countless men, women and children. As the papal conclave prepares to elect a new pontiff for the Catholic Church, Australian Catholic Bishops Conference General Secretary, Fr. Brian Lucas, shares his thoughts on what it takes to be a good leader and a great pontificate. Grateful in April is a global campaign to get people focused on feeling good about what they’ve already got in their lives. Grateful is April has been created by m.a.d.woman founder Melina Schamroth to encourage people to feel great about themselves no matter what circumstances they are facing.